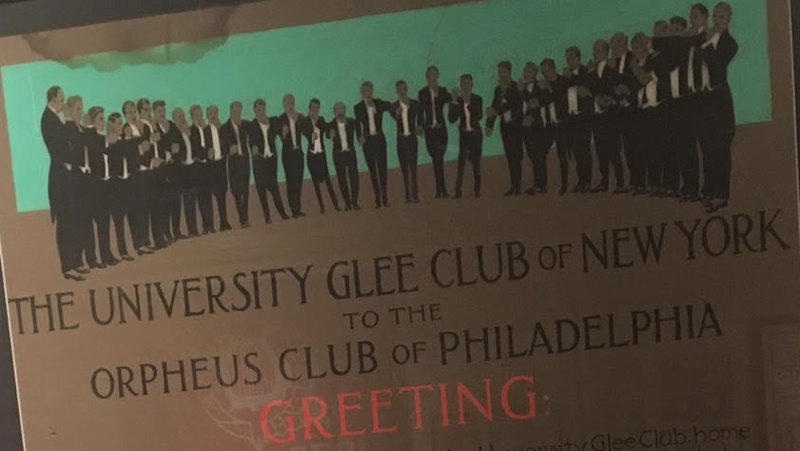 The University Glee Club of New York City was formed in 1886 and formally organized in 1894 “to encourage male voice singing of the highest excellence for university and college graduates and former students residing in or near New York City,” according to the Club’s constitution. Founded on the love of male voice singing, its roster over the years has included thousands of men from hundreds of universities and colleges, all possessing the desire to sing, learned or fostered during their undergraduate years. Members’ concerts are given in the spring and winter of each year by active members for retired active members, associate members, and guests, and the Club’s repertoire covers a wide range of music including classical works, Broadway musicals, sea chanteys, spirituals and traditional college songs. The Club rehearses weekly during the fall and spring on Thursday evenings in the Grand Lodge Room at Masonic Hall NYC on West 23rd Street. Associate members are welcome at rehearsals and the weekly post-rehearsal “afterglows,” the annual “Summerfest” party in September, and other Club activities. Calling All Friends of the UGC! Associate Members Wanted! Are you interested in joining one of New York City’s oldest cultural institutions? Consider becoming a University Glee Club Associate Member! Associates are the backbone of the UGC – they are our most fervent supporters, and join us at all our social events throughout the year! Learn more about UGC Associate Memberships on our Membership page. When you are ready to join us, simply fill out the Request for Associate Membership Form. 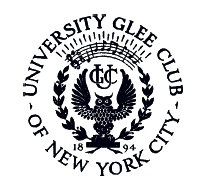 We look forward to welcoming you to the University Glee Club of New York City! Statue of Liberty Bell Soirée – Encore! 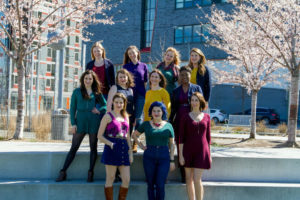 University Glee Club and Orpheus Club Members and their guests are cordially invited to the Second Annual Statue of Liberty Bell Soirée on Saturday June 16th. The UGC looks forward to reuniting with our brothers-in-song, The Orpheus Club of Philadelphia, for a spirited night of joint and small group singing, including hearing from each club’s quartets and small groups such as The Crickets, The Ten and from The Orpheus Club, the Rat Pack, Interchangeables and Bacchus Boys. As with last year’s event, we will join together in song from the tables during dinner, for many a shared group favorite, including accompanied numbers. Contact Tyler Hirschey with any questions at thirschey (at) yahoo.com and let him know if you have any acts you would like to contribute to the program. Last year’s event was great fun, so join us at The Players on June 16th! Saturday, May 19th 2018, 8:00 p.m. 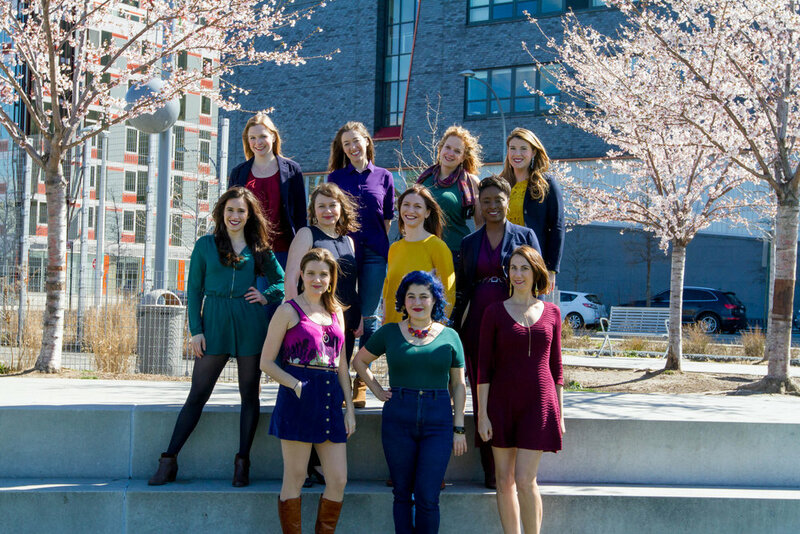 The University Glee Club will once again open the doors of our home at Masonic Hall NYC for our Spring Concert, this time with our special guests and longstanding friends, Treble, New York City’s premier and longest established women’s a cappella ensemble. The men of the UGC will of course again treat you to another evening of entertaining pieces from many genres, including selections by Gounod, Schubert, Leonard Bernstein, Randall Thompson, Z. Randall Stroope, William Dawson, Moses Hogan, and Ernest Charles’ beautiful “When I Have Sung My Songs To You”. Our “Black Tie” Gala Afterglow will be held after the concert in Masonic Hall, and we’ll dance as usual to the incomparable sound of the Joe Holmes Swing Band. All in all it will be another great evening of music drawn from the best of the men’s – and women’s – choral traditions! Please join us!! These concerts would not be possible without additional support from members and your participation in the Concert Support program this year would again be deeply appreciated. Order Tickets online via our website HERE, or by mail using THIS FORM. Saturday, January 13th 2018, 8:00 p.m. 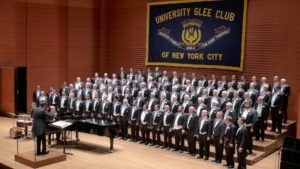 The UGC is proud to host the Pennsylvania State University Men’s Glee Club at Lincoln Center for our 247th Members’ concert. 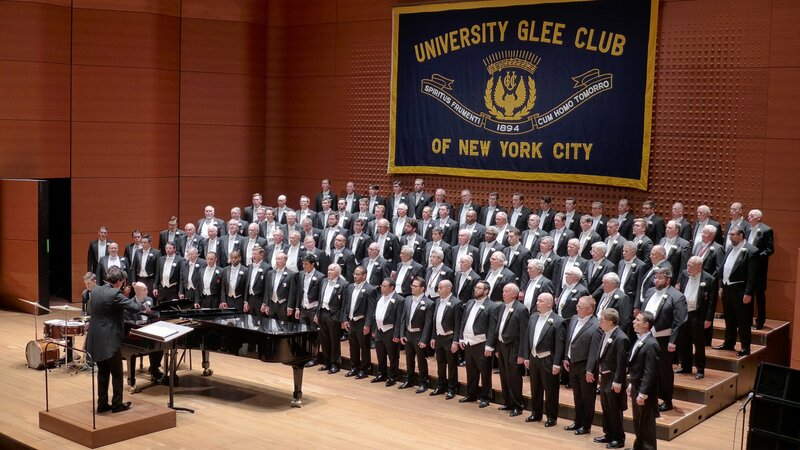 “Raising the Song since 1888”, the Penn State Glee Club will be hitting the road, due East on I-80, to join the UGC on stage at Alice Tully for another evening of music and good cheer. Penn State has long sponsored one of the nation’s leading men’s choral programs and we’re thrilled at the opportunity to make music together. The men of the UGC will of course treat you to another evening of entertaining pieces from many genres, including selections by Kirby Shaw, Jacques Arcadelt, Wendell Whalum, William Dawson, Rogers & Hammerstein, as well as Stephen Paulus’ “The Road Home”. Our “Black Tie” Gala Afterglow will be held after the concert in the lobby of Alice Tully, and we’ll dance as usual to the incomparable sound of the Joe Holmes Swing Band. All in all it will be another great evening of music drawn from the best of the men’s choral tradition. Please join us!